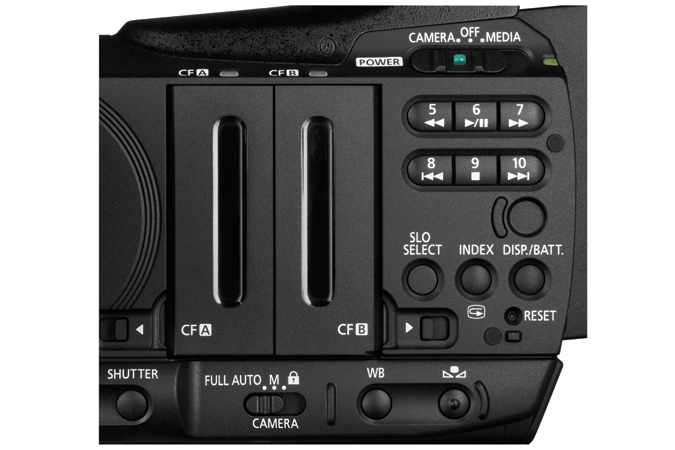 The XF100 utilizes Canon's XF Codec – a file-based MPEG-2 compression with an MXF File Wrapper that ensures the widest compatibility with existing industry infrastructure, metadata and non-linear editing (NLE) systems. 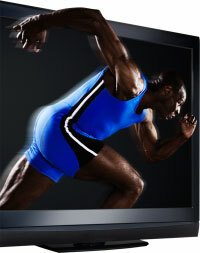 The codec's 4:2:2 color sampling provides ultra-fine transitions in tone and color for maintaining the highest image quality needed for advanced post production processing. Canon XF100, de nuit from Les Films Associes on Vimeo. 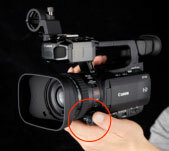 Relay Recording- When one CF card becomes full, the camcorder automatically switches video recording to the other CF card. 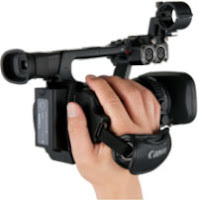 Hot Swapping- Media can be replaced without turning off the camcorder. And while recording, the other card can be removed without interruption. 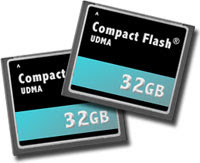 File copy and backup- Files may be copied from one card to the next- ideal for backing up when out in the field. Pre Record - Perfect for hunting situations, the camcorder continuously buffers approximately three seconds of video in memory. When the record button is pressed, recording begins and the contents of buffer memory are added, so you never miss an important shot. 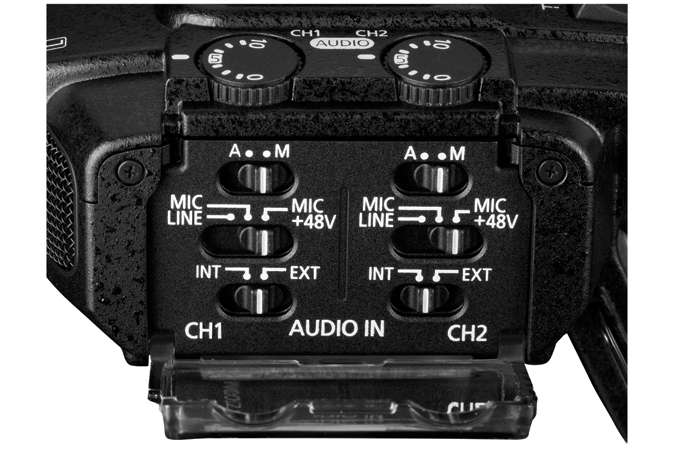 Double Slot Recording - For safety and convenience, the Double Slot Recording feature allows you to record simultaneously to each of the two CF cards, providing an instant backup for your footage. A customizable manual control ring allows users to assign focus, zoom or iris. 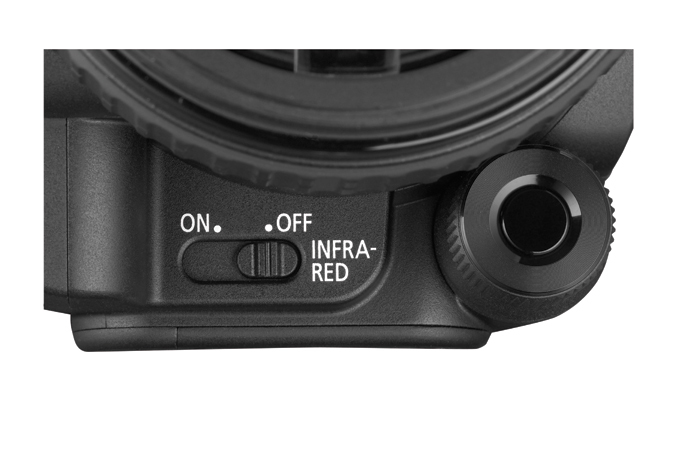 These functions are easily selected through a switch on the lens barrel. Standard - Lens shift is controlled so that the maximum compensation angle is constant from wide angle through telephoto. 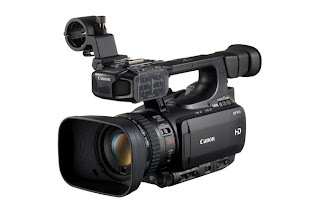 Newly designed and manufactured exclusively by Canon, the XF100 Professional Camcorder incorporates a native 1/3-inch, 1920 x 1080 CMOS Image Sensor, delivering superb Full HD video recording with minimal noise. 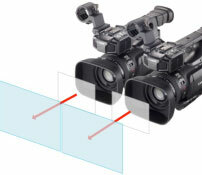 The high sensitivity and wide dynamic rand of this sensor are what demanding users expect from Canon. Slow and fast motion shooting is supported for greater flexibility in creative choice and its compactness contributes greatly to the small, super handy size of the XF100 and its outstanding usability in the field. The XF100 has the ability to be paired with another XF100 or XF105 camcorder to provide true stereoscopic 3-D recording. 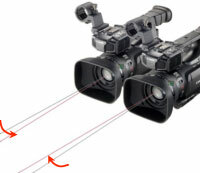 It offers several features to assist with 3-D production including OIS Lens Shift to aid in optically aligning the two cameras. The XF100 features an Infrared Mode allowing users to capture video in hunting conditions with little to no ambient light, a situation which would make other camcorders useless. During infrared capture, the infrared cutoff filter is removed from the optical path. Combined with a specially designed lens coating, infrared light is able to pass through to the image sensor. Additionally, the XF100 features an infrared emitter with a diffuser to shot pleasing infrared imagery even in complete darkness. For the hunters, the benefits of a compact, high performance camcorder for shooting in such conditions is obvious. Without the need to add lights, the shooter may remain hidden from their subjects. Also, the XF100 gives the option of recording in green or white light mode. Canon XF100, Infrared from Les Films Associes on Vimeo. The Canon XF100 is an ultra-compact camera that is easy to pack in any hunter's backpack. The utmost in flexibility has been built into the XF100. It has an incorporated stereo microphone, as well as two XLR audio inputs with +48V phantom power and a 3.5mm microphone input terminal. The built-in microphone provides exceptional audio in fast paced situations while the XLR inputs and microphone input terminal provide connectivity to external microphones. 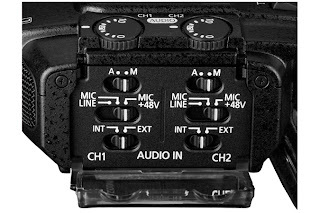 In addition the XLR inputs allow the use of other professional audio devices. If you choose, the built-in microphone and external microphone can be used simultaneously. Item Reviewed: Introducing the Infra-Red ready Canon XF100 9 out of 10 based on 10 ratings. 9 user reviews. what is the maximum distance you can shoot in infrared light from the canon XF100 Professional cameras? ?